Samsung SCH-B570 will debut shortly in South Korea. 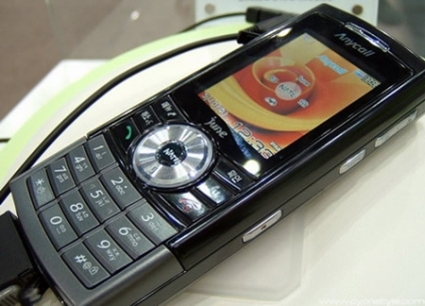 This Phone sports 8GB hard disk drive which is twice the size of what Nokia N91 offers. May be samsung is directly holding this phone against the Apple ipod nano.